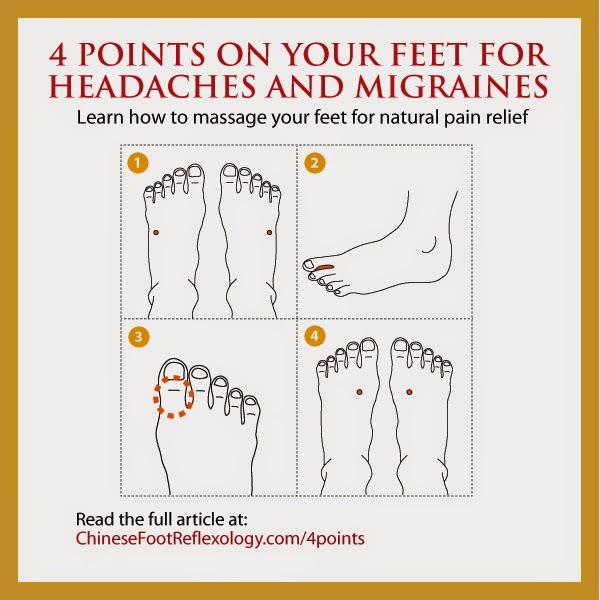 google-site-verification: google8d8438b214143f71.html Beautiful Quotes: 5 Simple acupressure points for headache. 5 Simple acupressure points for headache. Acupressure is one of the most effective and easiest ways to release pain or stress in your body. Acupressure is a therapy that originated in India and uses logics backed by science and locates common sensitive points on the human body which help in releasing pain or relieving you from stress just by applying pressure on them. This science is based on an imaginary line drawn across the body that has various points on them. If any of these points or blocked, the flow of energy stops and results in pain and diseases which can be released by using points around that part of the meridian. The best part of acupressure is that it is not medication you can be allergic to,it can be used for everyone! Headache is one of the major problem we face due to our busy and stressful lives. Not only is it common but it also recurs frequently. Don’t let headache or migraines prevent you from doing your daily work or decrease your efficiency by using these simple acupressure points for headache. The back of your neck is a very sensitive area and should be very carefully used while treating any kind of pain with acupressure. Pull your hair up in a bun and locate a hollow right at the end of your hairline or the end of your skull. Place your hands on either side of this hollow or indented area. Put pressure and press your hands from the middle to the right or middle to the left with your right hand and left hand respectively while letting your fingers put equal pressure on both sides. Make sure that before you put pressure you tilt your head slightly backward. Continue massaging for a minute or until the pain releases. The space between your eyebrows near your forehead is a very crucial point to release headache. Take your thumb and push it vertically upwards putting a considerable amount of pressure for about two minutes. Continue doing so gently for as long as headache persists or for two minutes by alternating thumbs but keeping the pressure steady. Also remember to take deep breaths while doing the above. Hands and feet are some of the main parts of the body that have a cure to most problems through acupressure. Locate the area on your hand between the thumb and your finger. This area is known as web area. Use your index finger and your thumb of another hand to press the web area on your hand. Apply good amount of pressure and keep squeezing the web area properly sideways. Once you are done with one hand,repeat the same process of squeezing the web area on the other hand. Make sure that you take about two minutes for each hand and you will notice the pain will subside soon enough. Your feet and acupressure have a great way to keeping you absolutely healthy. See the picture number 2 above. The space between your first toe and second toe is the area we are targeting. You can either use your hands or the opposite foot’s toes to massage this area. In a gentle rubbing motion, apply good amount of pressure in this space between the two toes and keep doing so for a minute. Reverse the motion and do the same to your opposite foot as well. This will help comfort your pain due to the headache. 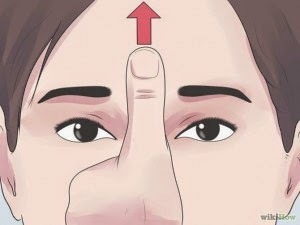 This acupressure point is located exactly on top of your head,in the middle. Draw an imaginary line from your right ear to your left ear and then draw an imaginary line from the space between your eyebrows to the end of your skull. There will be a point where the two imaginary lines meet and that is the point that will release your headache. Put your fingers on top your head and keep breathing deeply while putting ample amount of pressure on this point for instant release of pain. With these 5 steps for acupressure points for headache,you should be able to control the pain headaches and migraines cause within a short period of time. Acupressure is absolutely safe and natural while it gives good results if you know which pressure point helps relieve you from the stress.